At our restaurant, we are able to host private parties that can accommodate up to 30 people. 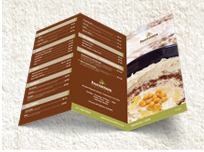 In addition to the following dishes, we are also happy to build individual menus that cater to your taste. Whether you want to host a Kiddush at your Synagogue, Shabbat Dinner at home, or any other private event, Hummus Elite will be glad to accommodate you. The dishes listed below are suitable for 10 people or less.